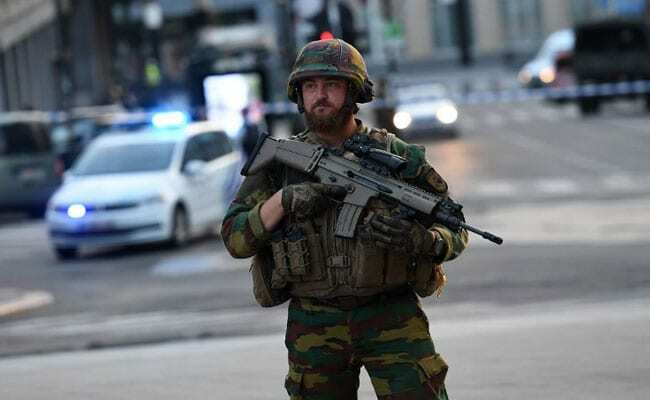 Brussels: Belgian police fired a shot at a vehicle in the Brussels district of Molenbeek and called in a bomb squad after the driver claimed to have explosives on board, Belgium's federal prosecutors said on Tuesday. Police cordoned off the area and told residents to remain indoors while military units checks for explosives, a spokeswoman for the prosecutors said. "The man was driving suspiciously and failed to stop at a traffic light," spokeswoman Ine van Wymersch told Reuters. "When the police arrested him, he claimed to have explosives so not to take any risk, the army has been called in to check." Molenbeek, a poor district of the capital with a large Moroccan Muslim population, gained notoriety after an Islamic State cell based there mounted suicide attacks on Paris in November 2015 that killed 130 people. Associates of that group attacked Brussels itself four months later, killing 32 people.